Building my first 1:12 scale dollhouse – the Beachside Bungalow kit by Real Good Toys. 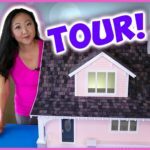 In this episode, I take you on an inside and out tour of building my first dollhouse at age 35. 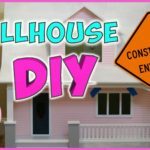 Building my first 1:12 scale dollhouse – the Beachside Bungalow kit by Real Good Toys. 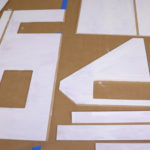 In this episode, we dye wooden shingles and apply them one by one to the roof. I also explain how I cut shingles to fit tight spaces and angles.